This time of year, pumpkin can be…well, kind of a DIVA. It’s ALL about the pumpkin. Pumpkins on my porch. Pumpkins on my hearth. 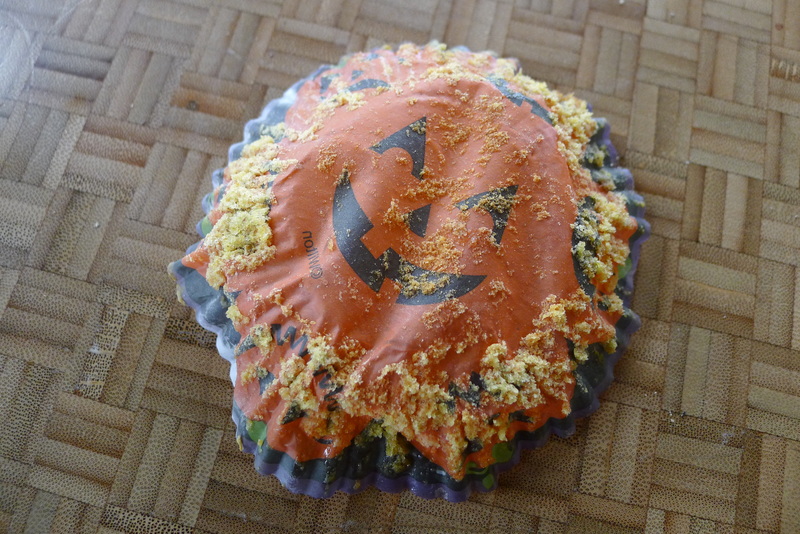 And pumpkin in pretty much every food! Pumpkin bread. Pumpkin donuts. Pumpkin cheesecake. Pumpkin oatmeal. This morning, I spied a recipe for pumpkin CHILI. And it appears the world anxiously waits ALL YEAR for the moment Starbucks debuts its pumpkin spice latte for the season. Pumpkin steals the show. Another flavor that reminds me of fall is MAPLE. Maybe it’s the leaves turning or the chill in the air. There’s something about that almost floral-earthy sweetness that seems appropriate this time of year. Why should pumpkin get all the love? Maple needs more encouragement. 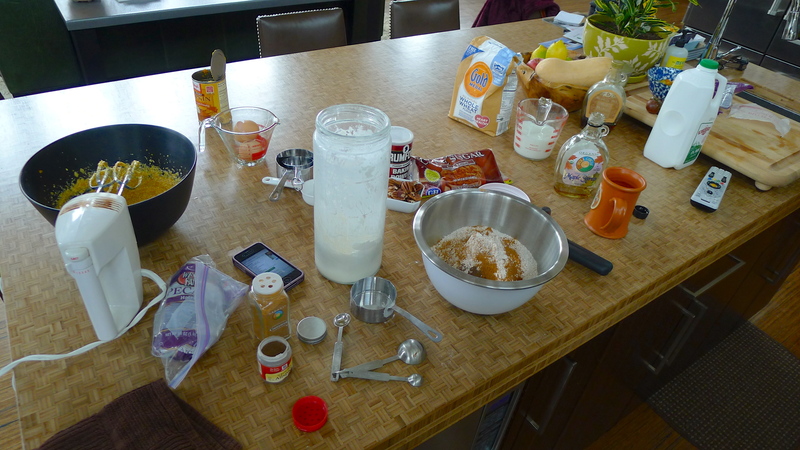 Let’s see if they can play nice together, in the form of Maple Pumpkin Muffins. 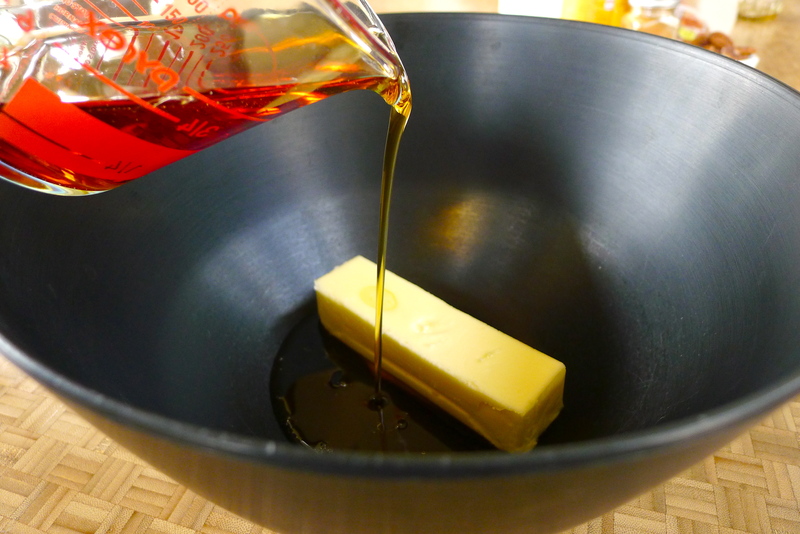 The batter starts with just butter and a healthy dose of thick maple syrup- YUM. 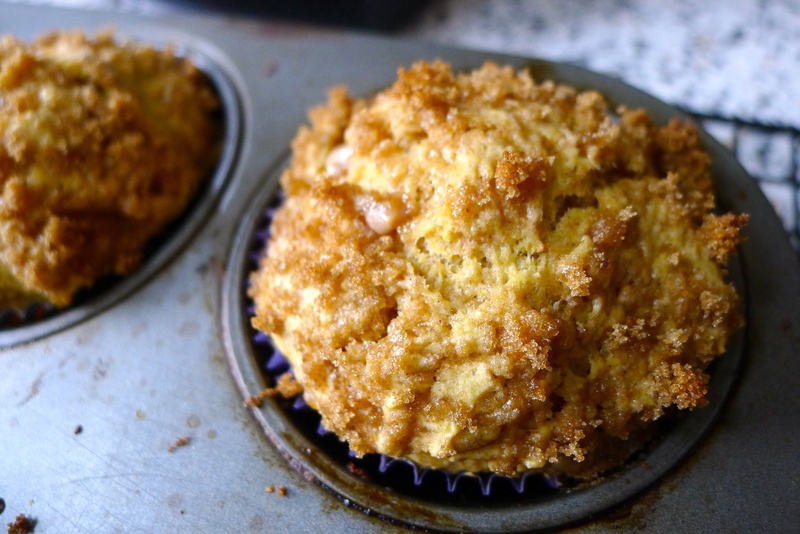 The syrup is one of the main sweeteners of these muffins- I think it could use even more than the recipe called for! 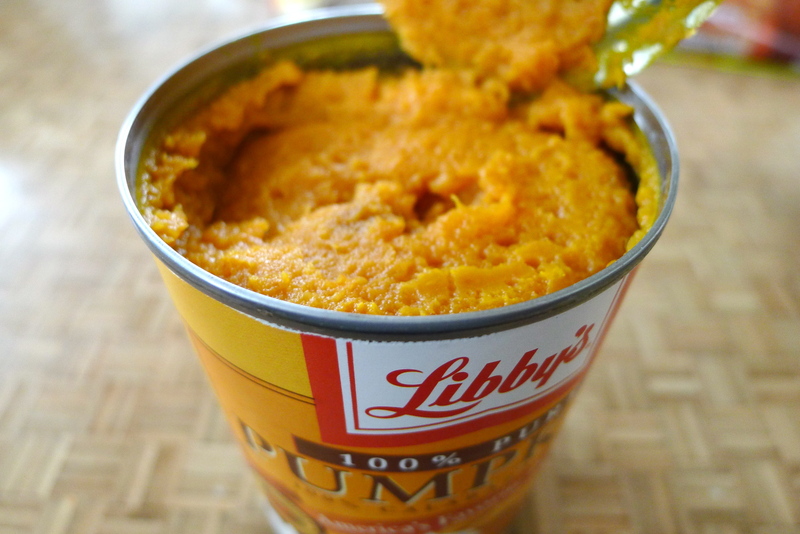 Next, a couple of eggs, and then half a can of good old Libby’s pumpkin puree. Thanks for gracing us with your presence, pumpkin. 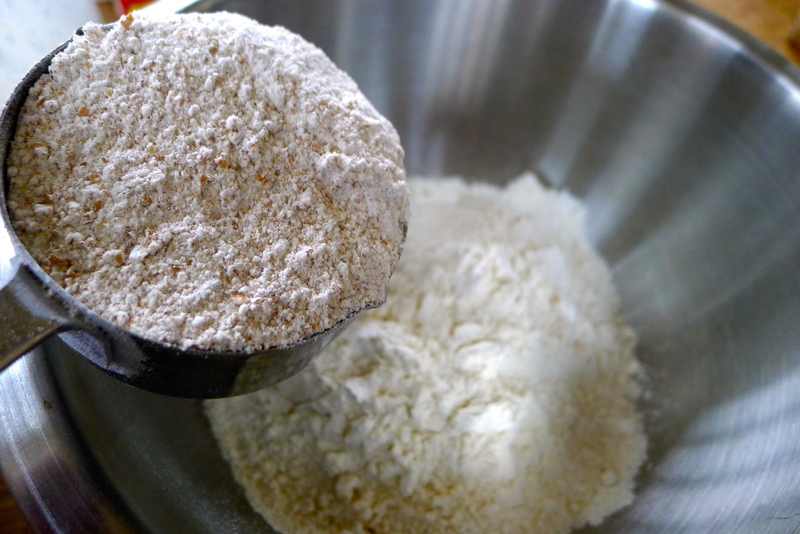 The recipe calls for both white and wheat flour, which lends to the dense texture of the final result. 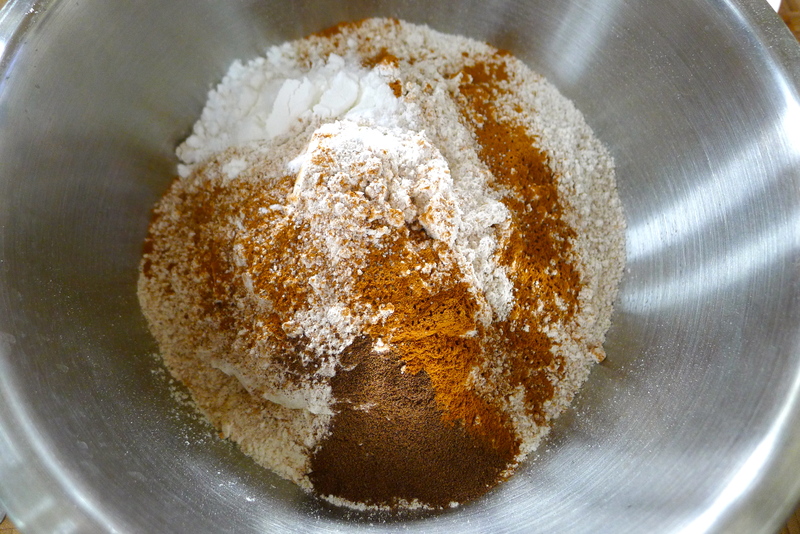 Cinnamon and allspice add that necessary fall zing to the dry ingredients, and I added some baking powder. 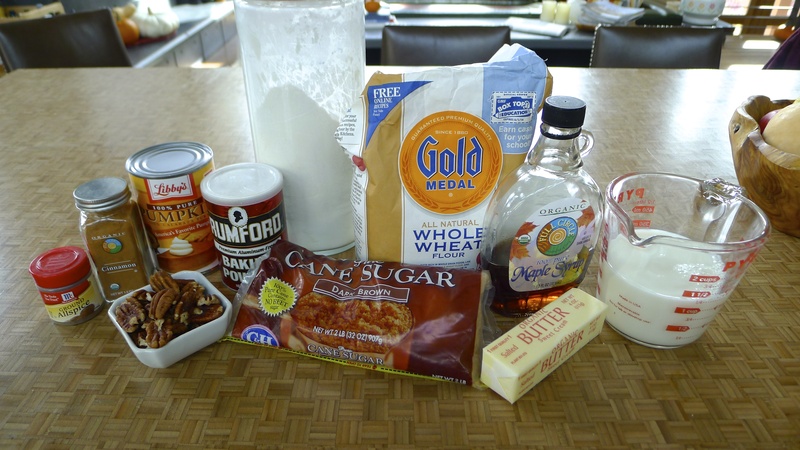 Once combined, I alternated adding the dry ingredients and some milk to the pumpkin mixture, blending until the thick batter was well-incorporated. The dough is quite dense at this stage. I searched high and low for cinnamon chips- this is something that NEEDS to live in my pantry- but no luck. 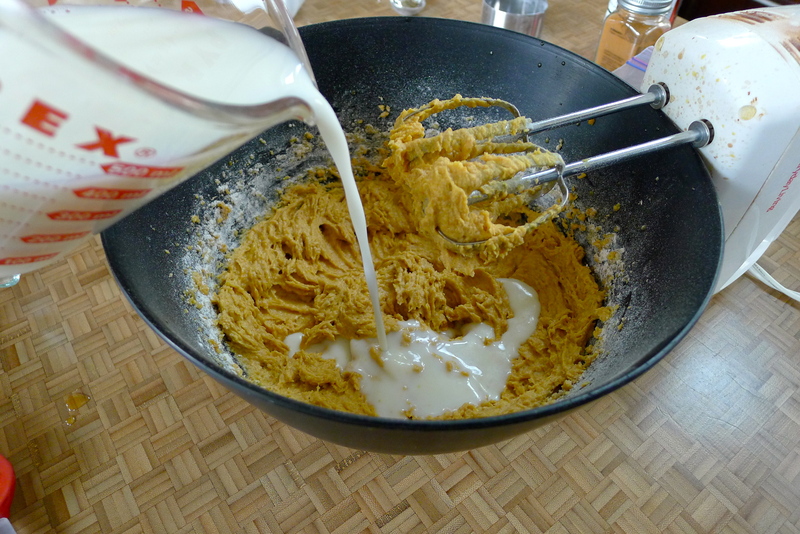 Instead, I grabbed some toffee brickle bits at the last minute and stirred them into the batter. Toffee and maple sounds like a match made in Heaven! I also added chopped pecans for crunch. 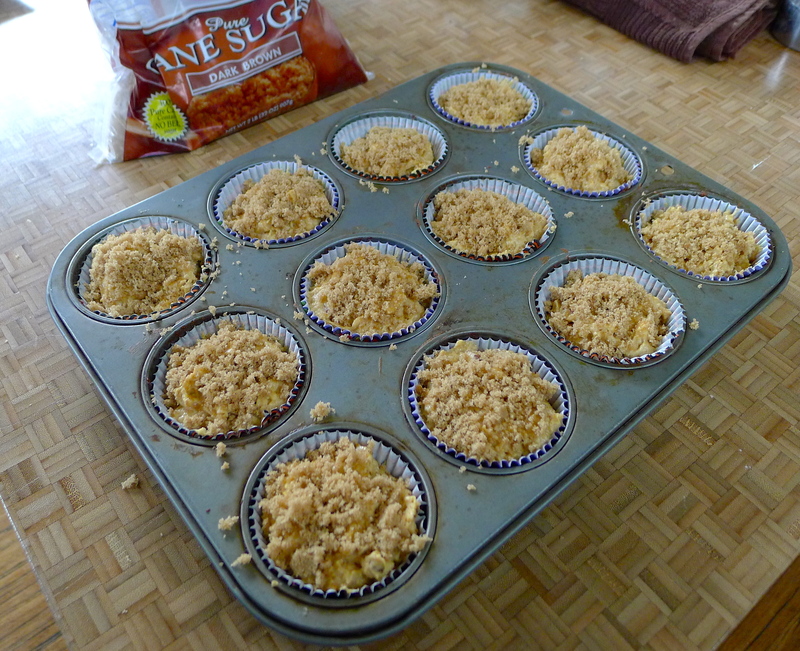 Before the heavy little muffins went into the oven, I sprinkled them with brown sugar. No, I covered them with brown sugar. Why not? Nothing makes your house smell better than fall baking. It must be all of the cinnamon and spices! 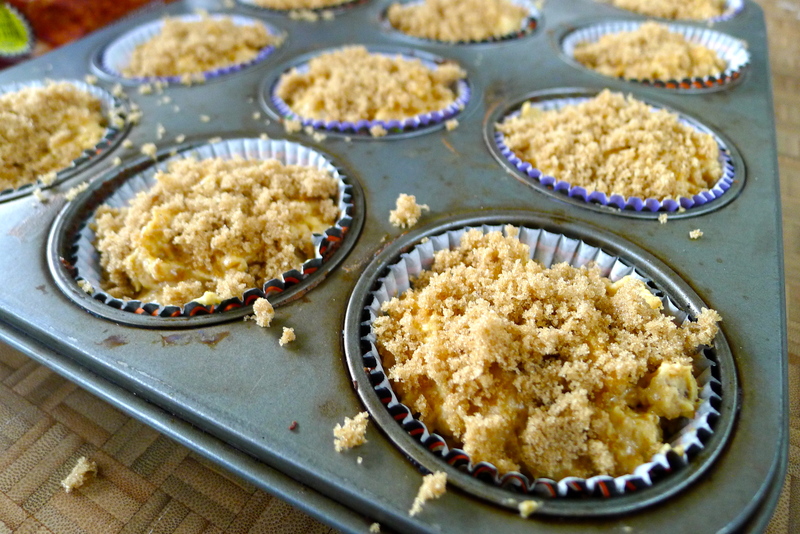 When the muffins came out of the oven, the brown sugar had caramelized on top. Gorgeous! 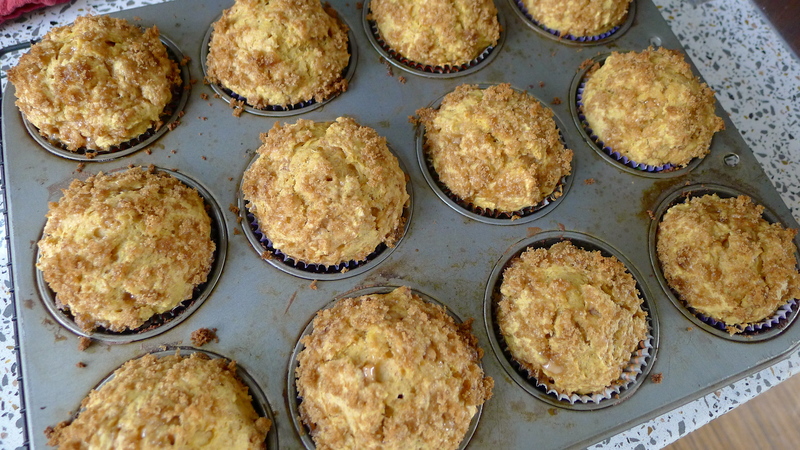 I didn’t waste any time tasting one, a generous slather of butter melting into the warm muffin. 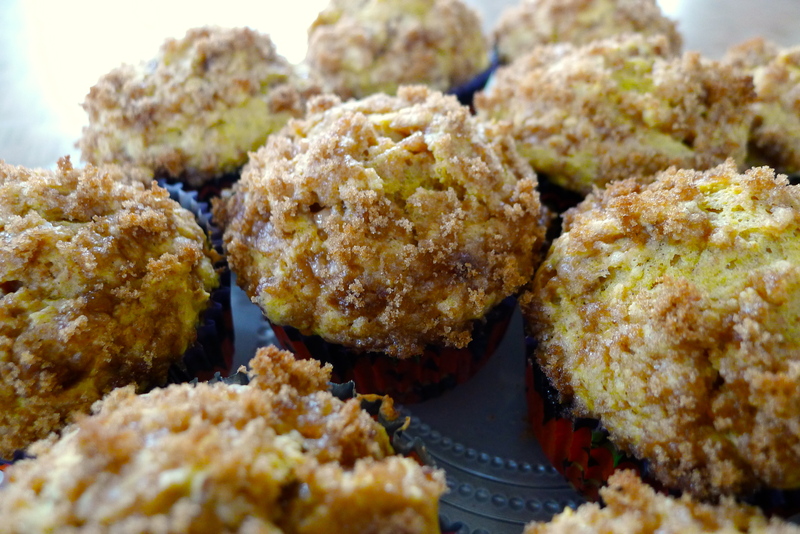 In color and flavor, they are pumpkin muffins- but they’ve got a little something special. The maple hints are in every bite, helping the star shine like a good supporting character should. 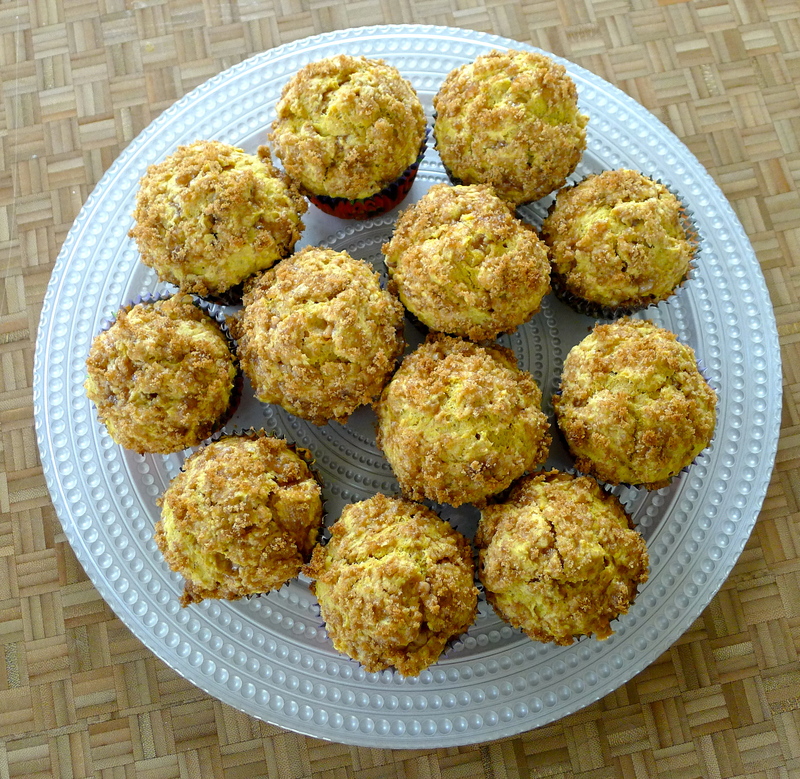 The toffee bits and crunchy brown sugar topping added a necessary sweetness, and even so, these muffins aren’t overly sweet. They’re delicious. 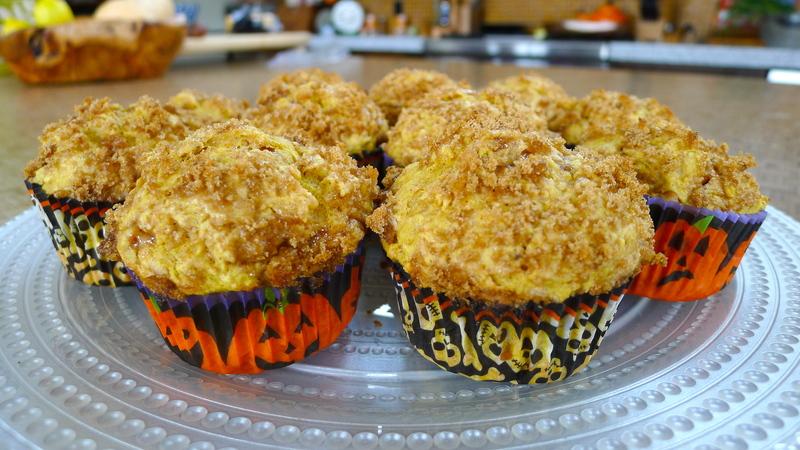 These maple pumpkin muffins are perfect for breakfast, for a snack, or an after-dinner treat. 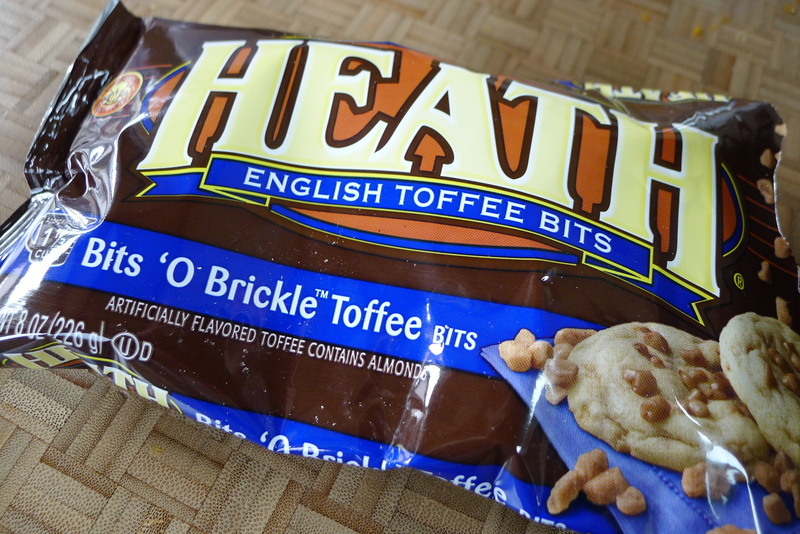 I prefer them heated with butter- cinnamon butter would be even better. I’m happy to report that pumpkin and maple CAN share the spotlight. And that has me smiling like a jack-o-lantern. What’s your favorite thing to bake in fall? What flavors besides pumpkin say “fall” to you? Preheat oven to 400 degrees and line a muffin pan with cupcake liners. Cream the maple syrup and butter. 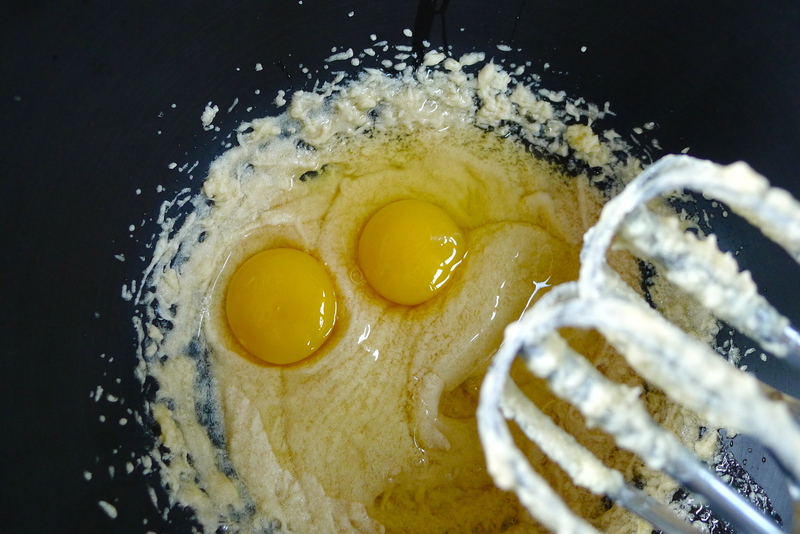 Add eggs and blend. 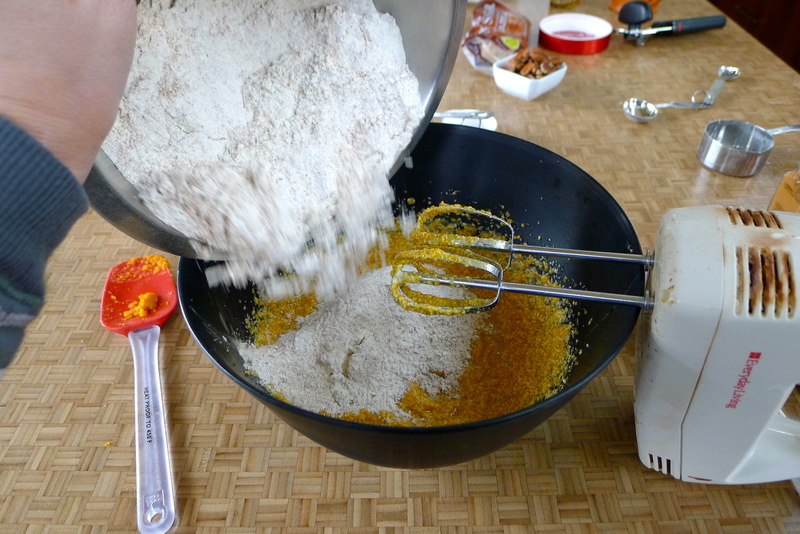 Add the pumpkin puree. 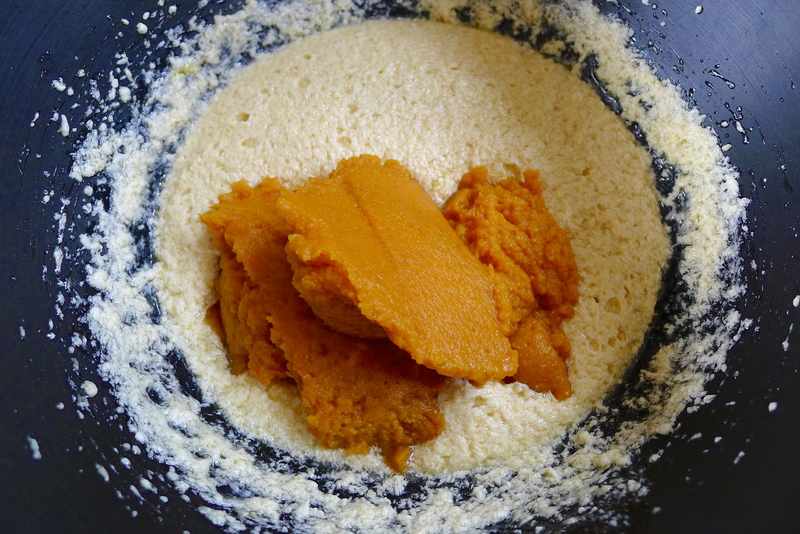 Combine dry ingredients, and add alternately to the pumpkin puree with milk. 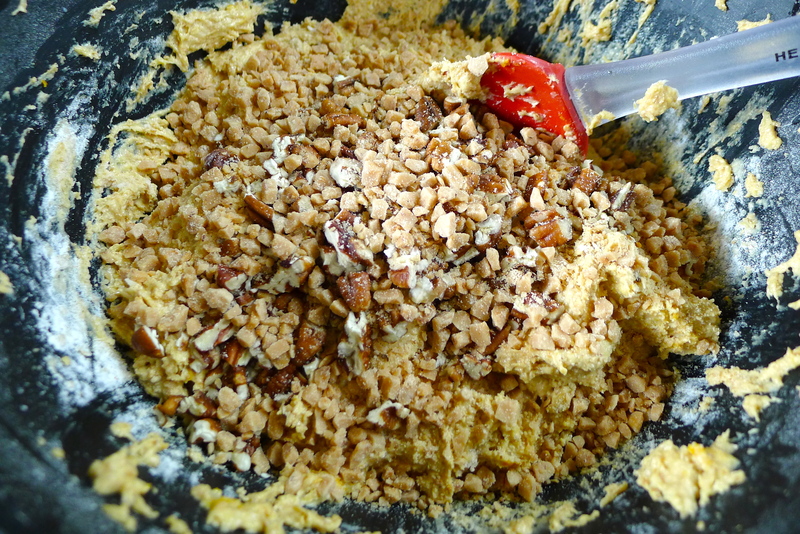 Stir in cinnamon chips or toffee bits and nuts. Spoon batter into cupcake liners. 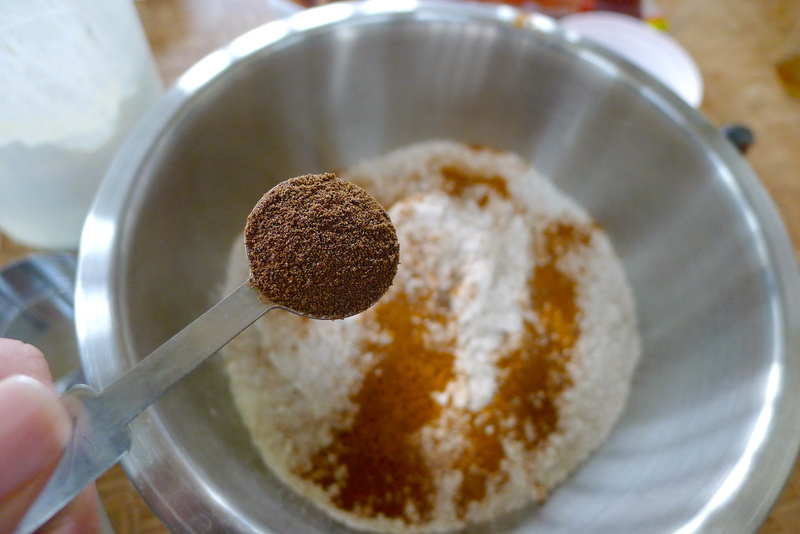 Top each muffin with a generous helping of brown sugar. Bake for 20 minutes and eat warm with butter. Don’t forget to get autographs from the stars of the show. YUM! Yum! 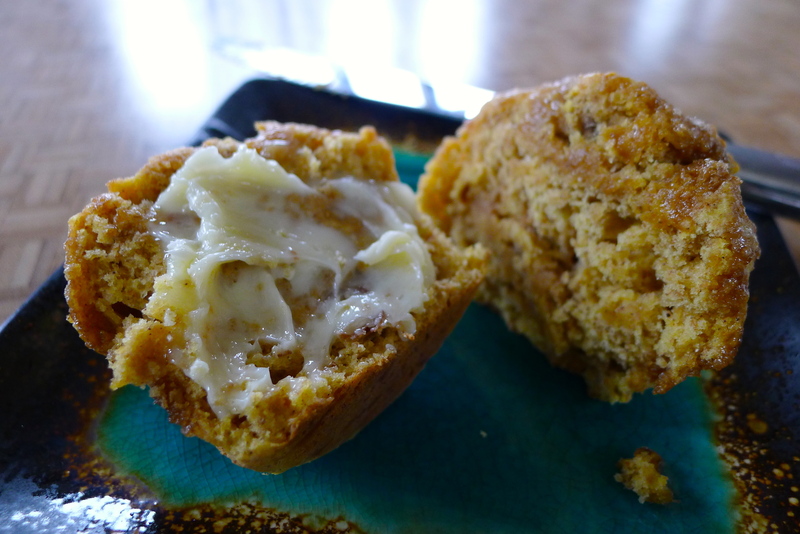 I love making pumpkin bread and pumpkin muffins in the fall to go with a warm apple cider (or a caramel apple cider from Starbucks)! Oooh, caramel is another good fall flavor! You know, I’m not a huge pumpkin gal. If given the choice between pumpkin pie and pecan pie at Thanksgiving, well, I’ve eaten the entire pecan pie before you’ve even gotten those words out. Fall to me is all about apples and apple cider. Though I do love your maple suggestion. Pecan pie is my FAVORITE! I’m with you! Looks like I’ve just added another recipe to my fall favorites collection. Thanks for the food bliss, Amber! Let me know if you make them. I’d suggest adding a tad more maple syrup and put more brown sugar on top than you think you should- they’re good with the sweetness!! Those muffins look delicious! I have three pumpkins in my kitchen waiting to be turned into delicious fall treats, so I will definitely try this (three pumpkins is a lot of pumpkin puree!). I think apple is also a diva at this time of the year! Apple and maple sound yummy together, don’t they? Oh, they are! I made maple apple scones that were so delicious, they disappeared pretty fast! Made these (with a few small changes, e.g. white chocolate chips and some oats added in) and they were absolutely stellar! Thanks for the recipe! YUM! I love the idea to add oats!